I am not especially large. And give evidence of his brilliance. 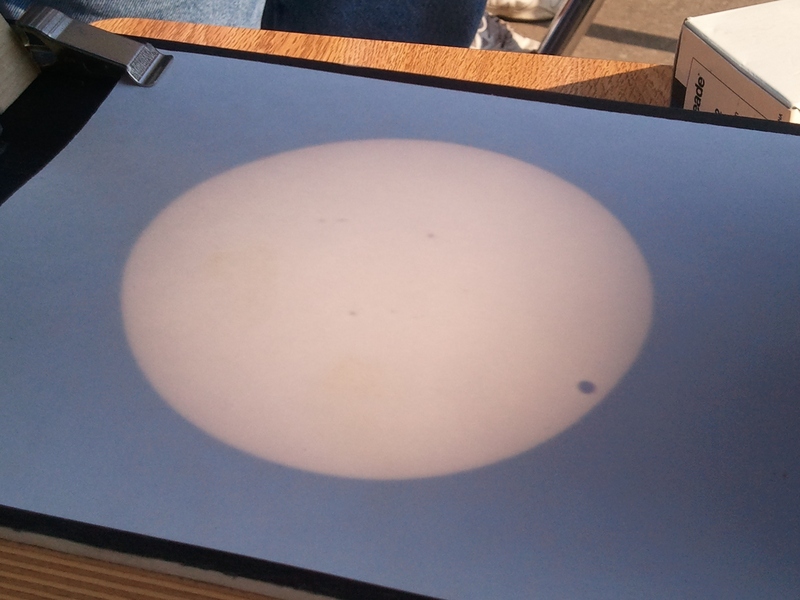 Venus in transit. Sun Spotter courtesy of Henderson State University, Arkadelphia, Arkansas, at approximately 5:30 p.m., 6/5/12. Photo credit: Joel Trauger. Thank you for this. Tuesday afternoon got cloudy in this part of the country. Oh, I am so sorry. I take it you would have loved to see this in person? I had a tutoring engagement and would have tried convincing the mom that her daughter needed science that day, rather than literature, but her mom had a monster headache and took a nap during tutoring so I never saw her. They also had 4-H that evening. So, I was locked in to tutoring. But my son took the shot and emailed it to me. Wonders!